I started making Far Side inspired quirky animal comics when I was about eight. 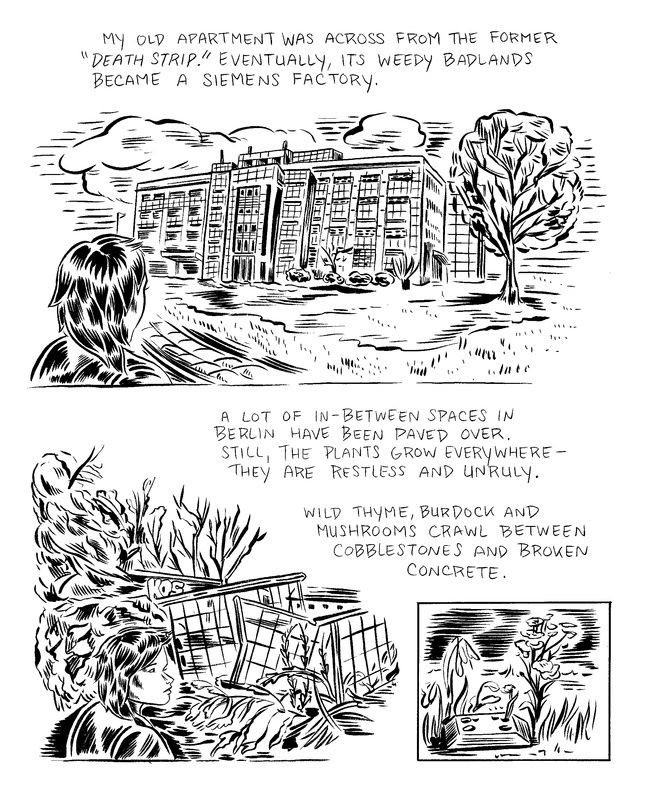 I only really stopped making comics in grad school when I became more interested in installation art and painting. 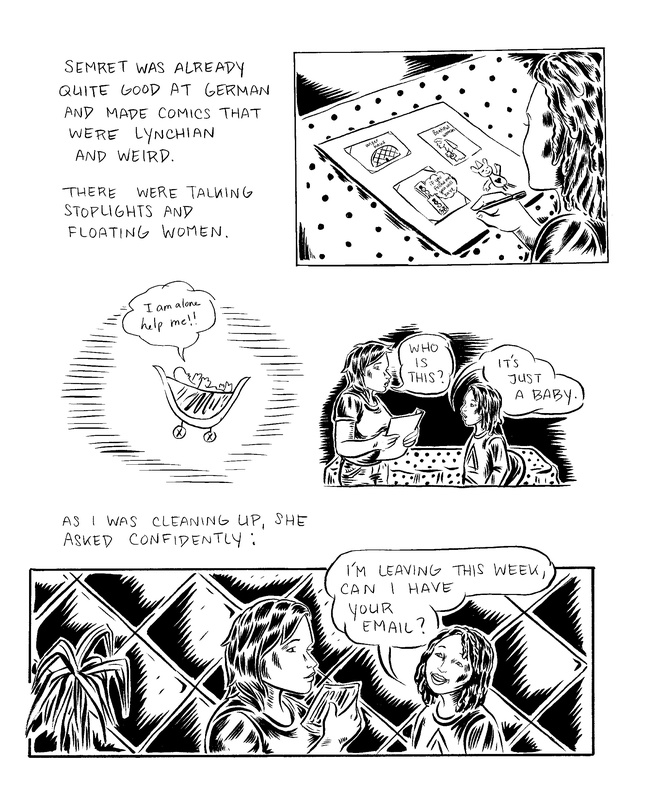 I returned to comics a few years later after I moved to Berlin during a period when I wanted to tell stories more directly. When I was a teenager I fantasized about living in Berlin, partly because of how it was portrayed as a queer, dirty utopia in Christopher Isherwood’s The Berlin Stories. I was lured to the city in my twenties for pretty much the same reasons as everyone else: art, openness and cheap rents. How do you describe Drawn to Berlin? It’s a book about different types of migration, personhood and nationhood. 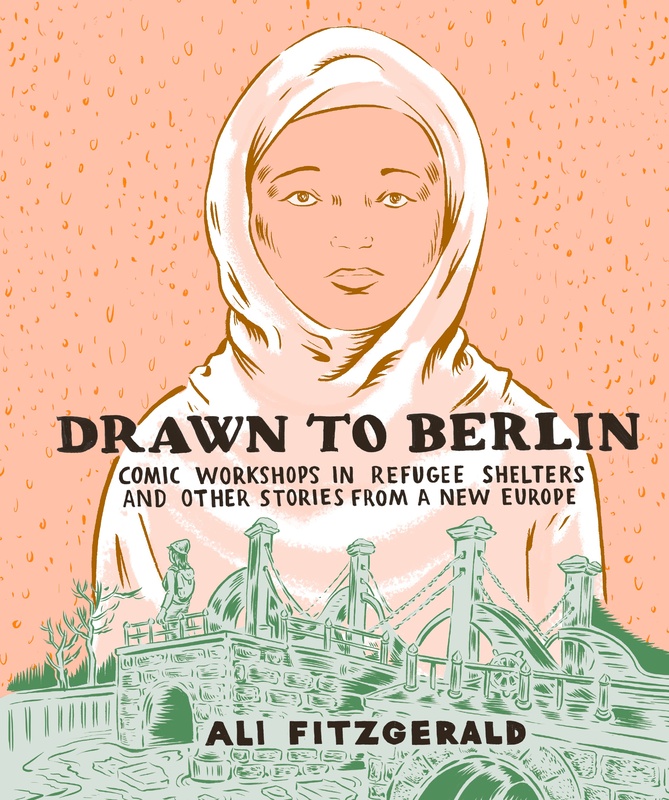 It focuses on comic workshops I conducted in refugee shelters, and uses the act of drawing to bind the stories of different newcomers to the city. It also follows myself and two young men from Syria as they try to build a life in Berlin. There are also historical parallels from Joseph Roth’s journalism from the 1920’s woven throughout. In the end, it’s also a portrait of a city that always seems to be at the center of upheaval and renewal. How did these workshops start? I was approached by the director of a refugee shelter, Mathias Hamann, who asked if I could create comic workshops for teenage boys. What were you hoping to do at first and how did that change? In the beginning I think I hoped to impart more comic-specific knowledge like story pacing and characters etc. As the workshops progressed, I realized that the environment necessitated a more open structure where I let people do whatever they want. I became more of a moderator or someone who would encourage people based on their specific needs. Also, because of the open architecture/space of shelters, people of different ages and genders ended up joining the workshops. 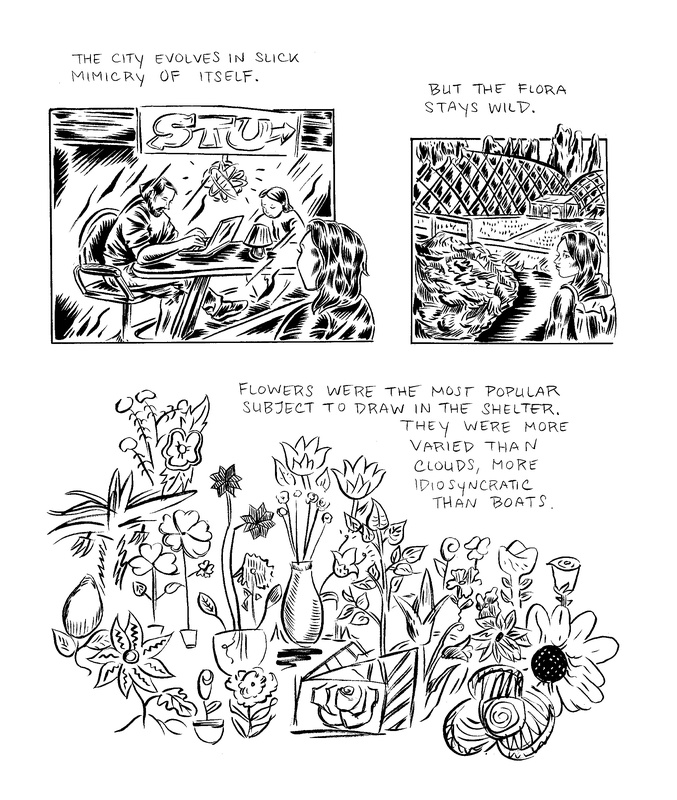 Can you talk about the process of making the book. Because it’s a book where you are the point of view character, but it’s not your story, you are trying to tell and share the stories of others. 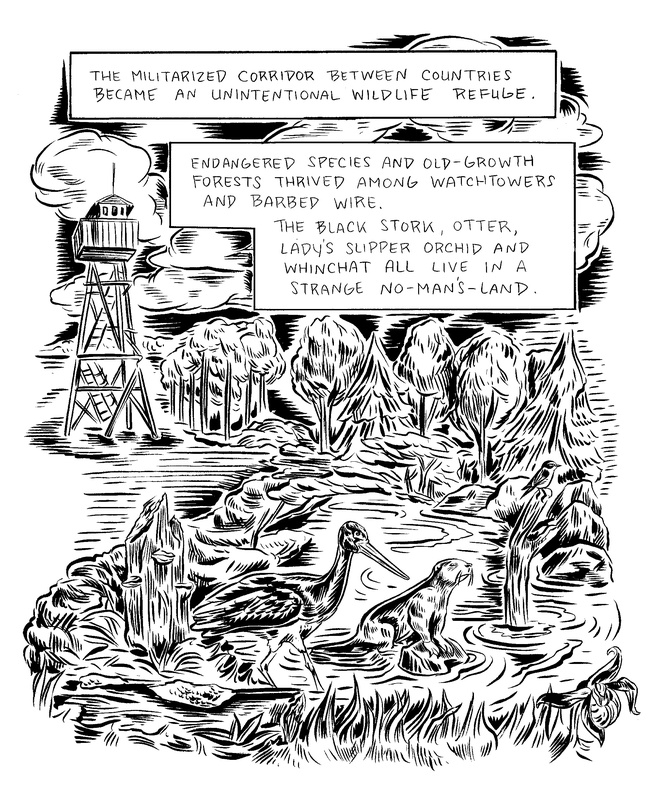 Because it’s a memoir as opposed to a work of comic journalism, I wanted to make sure that I was the narrator, and that it was clear that the story was filtered through my specific, personal, sometimes surreal lens. However, I only included vignettes of myself as they related to the main themes of the book—windows that would potentially add meaning or depth to the recurrent ideas of otherness and migration. You mention in one section about not talking about your own relationship, and you had good reasons for not doing so, but that does seem to be similar to how you approached the book. It’s not like we learn nothing about you, but you seem intent on making sure we’re not focused on you. It’s basically the same idea as noted above, I wanted to include only relevant, meaningful or revealing aspects of my story that could be interwined with others’ stories. Also, in that particular passage and in others later on in the book, I found myself having to navigate evolving relationships (from teacher to friend) with Saker and Michael. At what point did you start to incorporate the historical aspects of the book, bringing in Roth and Isherwood? I always knew that I would include Isherwood because he represents so much of Berlin’s mythos to me. I was familiar with Roth’s fiction before writing the book, but not his journalism. In the initial stages of researching and writing, a friend recommended that I read some of Roth’s journalism from the 1920’s for the Berliner Zeitung. It was a revelation, and I knew that his voice would create this poignant historical parallel in the book. 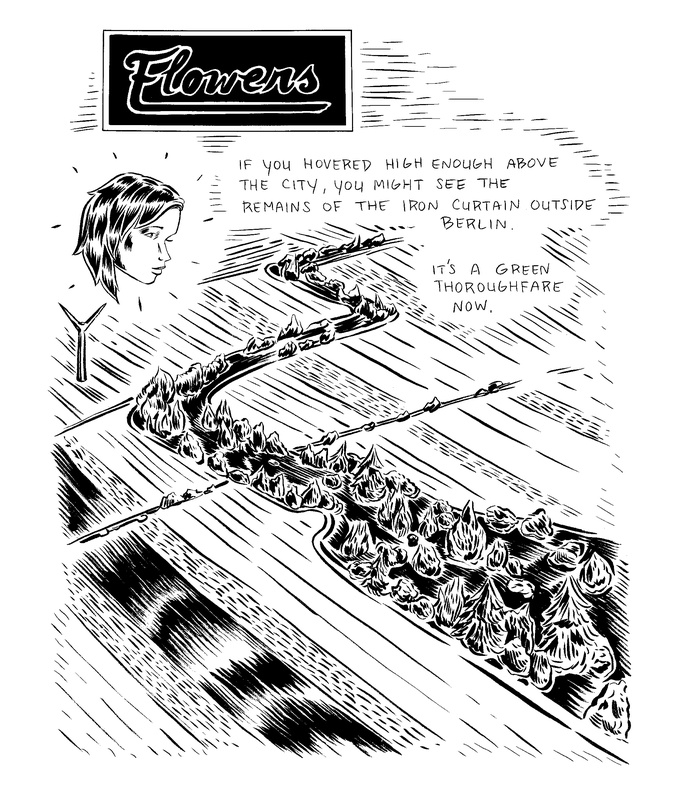 You’ve been making shorter comics for years now for New York, McSweeney’s and elsewhere. What was the biggest challenge in making a book and what was the biggest surprise? The biggest challenge is really the stamina a longer narrative requires. At some points it just felt like I would never finish. I think shorter comics offer an immediate sense of accomplishment—like crafting a punchline or something. Longer comics are just grueling in a specific, fairly physical kind of way. The biggest surprise was that everything worked out (relatively) smoothly and I have a copy sitting in front of me now. Do you think that a historical perspective is necessary to understanding Berlin and Germany. For example, the right wing narrative is that Germany is and has always been Germany and these refugees have changed it. Which as you point out, if you know anything about history, that’s just not true.